The results are in! Click here to find out who the winners are. Do you have the STA-2 in your garage yet? This new Japanese medium tank can be a little unforgiving in its control, but it's an agile fighter at its core with the capability to surprise your enemies still. This week's Battle Brag contest is all about the STA-2. Purchase one, or use the Time-Limited version available in the missions this week to try and earn a Fire for Effect achievement on it for a chance to win 300! Limited to the STA-2 tank (premium or TLV) and Random Battles. 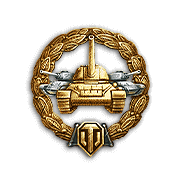 Players can get the TLV STA-2 tank by obtaining 10 Japan Tech Tree tokens for the Japan Tech Tree Focus mission. Win the battle and obtain a Fire for Effect achievement. Cause more damage to enemy vehicles than the total amount of HP of your own vehicle in the course of battle. Damage inflicted via ramming and setting the enemy on fire is included. SPGs are not eligible for this achievement. Available in Random Battles only. Deadline of entry submission is on 10 July 2015 at 15:00 (UTC+8). Obtain the High Caliber achievement from the same battle. 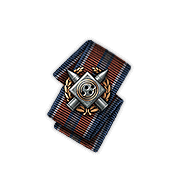 Awarded to players who dealt the biggest amount of damage during the battle. The damage dealt should be not less than 20% of enemy team tanks' HP sum, and not less than 1000 points. For receiving this award, allies should not be hit with direct shots. If two or more players have an equal amount of damage dealt, the achievement is granted to the player who has earned more XP for battle, including additional XP provided to Premium account users. If the amount of XP is equal as well, the achievement is not granted. Submit also the replay of the battle uploaded to WoTReplays.com or any other download page. For those using other download pages and those whose WoTReplays.com replay page look like this (missing Detailed Report tab), include a screenshot of the Team Score tab of the Battle Results in your submission. Awarded to the top 3 players with the highest damage dealt.